Here you can find the best gameplay tips and tricks for beginners in FIFA 16. ●Activate the Trainer by pressing the left analog stick. This gives you a good tip on how you should act in every situation. ● Adjust the lineup before the game according to the opponent and your playing style under team management. For example, you can change the formation and set an offensive or defensive style. ● Apply the tactic full attack only if you are just back shortly before the end. ● Fully use the substitution to bring fresh players in the second half. Optimally your fresh striker can run off the meager defenders. ●Instruct the players in corners and other standard situations. So, you can determine which posts are to be covered and where a player should wait. ● Play patiently especially in offense where you should leisurely outwit the opposing defense. ●Put on the right teams in FIFA 16. The strongest teams are probably Real Madrid and Bayern Munich. ●During the game you can choose between the game styles of “very defensive” and “very offensive” with the directional pad. You can respond to the actual situations at any time. ●Ultimate team is the most popular game mode in FIFA 16. 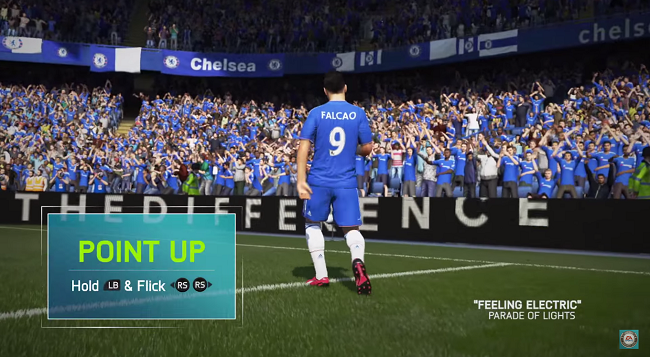 Here are some FUT 16 tips for beginners. ●At the beginning, it is important to collect as many FIFA 16 coins as possible and quickly build a stable team. ● Buy players in the transfer market instead of buying only packs. In doing so, you can save a lot of coins, since it is very unlikely to draw a pop player in the packs. ● Pay attention to the team chemistry. Search for players who play in the same league or who have the same nationality. ●Play seasons instead of tournaments because in a tournament a defeat means the end. ●Do not shop at peak times in the transfer market. Players are less expensive in morning and afternoon. Players will be more expensive again at night. Well-known YouTubers including W2S and NepentheZ have been targeted by criminals who gained access to their EA accounts to steal thousands of pounds worth of in-game currency. As well as stealing millions of “Fifa coins” the cyber-thieves also sold valuable players in the game’s Ultimate Team mode. The criminals are thought to have called Fifa’s publisher and developer EA pretending to be the YouTube personalities in an attempt to get their EA Origins accounts transferred to an email address in possession of the hackers. W2S, NepentheZ, AnEsonGib, Nick28T, Bateson87 and MattHDGamer are the YouTubers affected. Between them they have over 9.5 million subscribers with videos racking up hundreds of thousands of views. Each has uploaded a video about how they got hacked, which can be found in the links above. The Fifa series’ Ultimate Team mode has become the most popular facet of the long-running, highly-successful series. In it players build a squad through play and the acquisition of Fifa coins, which they can use to purchase packs of cards featuring new players and bonuses or purchase players outright in the transfer market. To speed up progress users can purchase Fifa coins with money, giving players real world value. The game was released on September 22, 2015 in the United States and September 24, 2015 in Europe. The title was met with some outcry over changes made to the series but it was still met with mostly positive reviews from game critics. While the game was brought to most of the usual platforms such as the PS4, PS4, Xbox 360, Xbox One, PC and even mobile games, it is not being brought to the Vita or the Nintendo 3DS. That is especially noteworthy considering it’s the first time that the game won’t be offered on some sort of Nintendo platform. The company also changed the way it developed games for the Xbox 360 and the PS3. While many of the features offered in the PS4 and Xbox One and PC are present in the last generation platforms, features like Creation Centre, custom music and chants, the FIFA Interactive World Cup, GameFace, match lobbies and the secondary English commentary from Andy Townsend and Clyde Tyldesley have all been left out of the last generation version of FIFA 16. In addition to the usual gameplay features that are included in most of the FIFA series games, FIFA 16 has added the revamped Career mode. Players will be able to play in 78 different stadiums, 50 of which are real world venues based and modeled after the actual stadiums. The game has also overhauled the FIFA 16 Ultimate Team mode. While that part of the gameplay has been included in a number of other games in the series. The game has added a new draft mode. The other modes that have been included in the previous games in the series return as well. Before you can run, you must learn how to walk. FIFA 16 is a very complex game, with many types of shooting, passing and dribbling. To learn the basics, or even the most advanced features, take a peek at the videos that EA Sports has made available in the main menu. You can also use the new help system that provides contextual tips for players during matches. Play some games on the weaker difficulty settings and pay attention to the pointers from the help system. After you have learned the theory of FIFA 16, it’s time to put it into practice, and for this there is nothing better than beating the various Skill Games with top marks. Some of these challenges can be quite difficult, but after several attempts, you should be evolving. If you can master theses Skill Games, you will be better prepared than ever to face FIFA – online and offline – and will know most of the secrets of the gameplay. Defending in FIFA 16 is a complicated task, and it has been this way since EA Sports changed to a manual defensive scheme. If it actually proves too challenging, you can change back to the classic scheme, which is almost automatic. In the controls section choose the “Legacy Defending” option. Other than that, try to stay calm when defending. Don’t rush to the ball, or you will be dribbled past with ease. Calm, patience and timing are the foundations of a good defence. The artificial intelligence in FIFA 16 defends very well, so it’s natural that some players will find it hard to maintain possession of the ball. If that’s case for you, the first thing you should do is release the sprint button. There is often a tendency to run with the ball, but this can be a big mistake. Try to pass the ball frequently, wait for the other players to occupy the empty spaces and don’t risk too much. This will allow you to keep the ball for a longer period of time, and will eventually open up attacking possibilities. There are several ways to attack in FIFA 16. You can cross into the area, defend deep and let them attack before hitting them on the break, shot from outside the area or even make some one-two plays near the oposite defenders. There’s no perfect way of attacking, but you should always take into account the team’s strengths and weaknesses. If your strikers are small, crossing might be an inefficient way of trying to score. On the other hand, if your forwards lack pace, it won’t be easy to launch rapid counterattacks. Be smart about how you attack and play to the best strengths of your team. Formations and tactics in FIFA 16 are more important than many initially consider. Players will often complain that their team sits back too far on the pitch, that their forwards are always straying offside, or that there’s not enough attacking runs in behind the opposition defence. All of this can actually be attributed to the team’s tactics. Spend a bit of time adjusting the formation of your team, and consider what mentality you want them to express on the pitch. Do this and you will surely notice improvements in the way they play, and it should better reflect your own personal style. Have you noticed that you earn FIFA points whenever you fulfil certain actions? Well, there is a place where you can spend these hard-earned points. Via the main menu, press R3 to visit the items catalog. Here you can unlock coins for FUT, alternative kits, new celebrations, cheats for career mode, and several extra balls; all unlockable with FIFA points.